The birds' DNA has been altered using a new gene editing technology known as CRISPR. In this case the "edits" are to remove parts of a protein on which the flu virus normally depends, making the chickens totally flu-resistant. The idea is to generate poultry that cannot get flu and would form a "buffer between wild birds and humans", Barclay said. The death toll in the last flu pandemic in 2009/10 - caused by the H1N1 strain and considered to be relatively mild - was around half a million people worldwide. The historic 1918 Spanish flu killed around 50 million people. 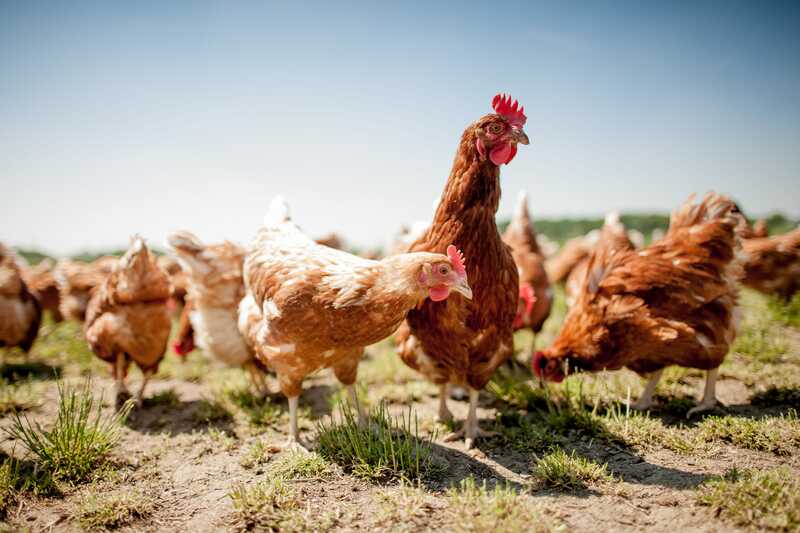 "If we could prevent influenza virus crossing from wild birds into chickens, we would stop the next pandemic at source," said Barclay. In research published in 2016 in the journal Nature, Barclay's team found that a gene present in chickens called ANP32 encodes a protein that all flu viruses depend on to infect a host. Laboratory tests of cells engineered to lack the gene showed they cannot be infected with flu. Teaming up scientists at the Roslin, Barclay said the plan is to use CRISPR to edit the chicks' DNA so that only one part of the key protein is changed, leaving the rest of the bird exactly the same, genetically, as it was before. "We have identified the smallest change that will stop the virus in its tracks," she said. Roslin Institute scientists gained fame in 1996 as creators of "Dolly the sheep", the world's first cloned animal. They have also created gene-edited pigs to make them resistant to a virus. Barclay said one of the biggest hurdles to this approach would be poultry producers' concerns about public acceptance. "People eat food from farmed animals that have been altered by decades of traditional breeding," she said. "But they might be nervous about eating gene edited food."